n some instances, a resin-bonded bridge may be used. 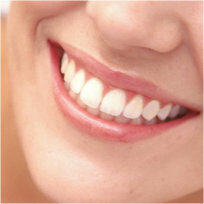 In this case, the two teeth on each side of the gap are not prepared for crowns. Instead, the bridge consists of a false tooth with metal brackets on the back of each side of the gap. The brackets are attached to the backs of the real teeth on each side.